Application software refers to sets of instructions and commands that are used on a computer or within a computer system while operating on a given operating system to perform specific functions. These functions are keenly designed and programmed to carry out functions that are beyond the basic operation of the computer itself. Application software developers use a set of skills and computer functions to come up with this application software while maintaining the normal basic functioning of a computer. The functionality of this software is usually dependent on compatibility with the per-installed computer’s operating system. There are numerous roles that these software play on a computer. 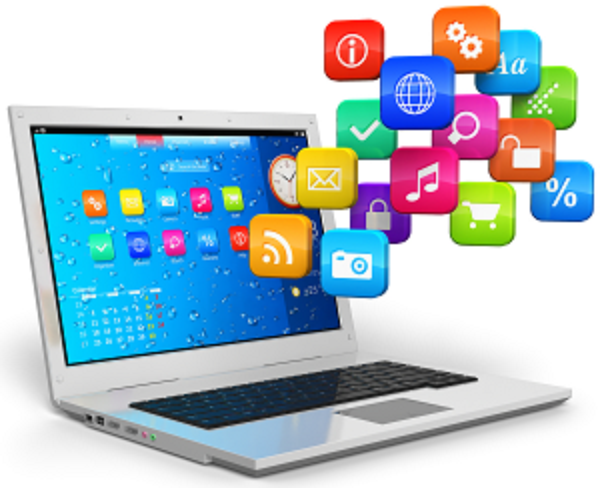 Application software, range from those that are used for entertainment, to financial and games software. Statistical and other academic software are among many other of this software. Development of application software requires special skills and knowledge in order to come up with a complete set of commands executing the desired functionality. People who qualify in this field are usually known as computer application software engineers. These engineers specialize in specific computer languages that enable them design these command prompts. With the rapidly developing world and the computer technology being embraced, the need for computer application software engineers is tremendously growing and the available engineers still not enough. Most companies and firms are now resorting to computer to ease company duties. Currently, Companies have grown and the needs of Companies necessitate for a fast, efficient mechanism of undertaking management roles. With data management taking centre stage, paper work and physical book keeping is currently revolutionizing with the rapidly changing economic needs. To come up with computer oriented alternatives to this challenge, only application software developers have the skill and knowledge to come up with the necessary software that shall be of help to help resolve this need. There currently exist numerous opportunities and avenues that need the skills and knowledge of software developers specializing in application software. To start with, academic institutions currently face rapidly changing needs that call for application software to aid in administration of managing of institution needs. In managing the specific roles of the organizations and institutions, application software make it easier to put these roles into one common place and retrieval of information easier. Considering database software that have been developed and other management software, data retrieval has been made easy with a simple click of a button. As this software continues to be embraced and widely used, there are recurrent needs that need to be resolved by those specializing in managing this software. The use of these software once installed requires that trained and qualified personnel in order to run effectively and dispense the necessary duties and functions. With most firms embracing these technological advancements to ease their company activities and dispensation of duties, it is becoming apparent that most firms that adopt these software have to get on board specialized workforce to be in control of the established software. These needs shall necessitate the recruitment of more specialists by these companies. As the company needs continue to grow and the services expand, the existing employees shall with time get old and retire while others exit the service. This calls for more training and preparation of a stable workforce that shall provide the needed labor force continuously. As the changes continue to drastically engulf the world and needs expand, the future gap can only be avoided by training more work personnel to enter the industry. However, this training can be effectively being met with willing population to be trained and join the workforce. The future of computer application software engineers is bright. There is already a big gap that requires their skill and knowledge to fill. Despite this need, the current output from institutions of higher learning is not yet enough to meet these growing needs. There is need for more trainees to be enrolled and qualify for these gaps that continue to open wider daily. It can be forecast-ed that in the near future scarcity of application software developers will result to a technological crisis since sustenance of the developed software will be overwhelming while the needs shall be continually growing.